The Butterfly Dragon I: Heroes Of Our Own - The Full Edition by Brian Joseph Johns as is this blog. 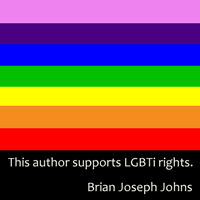 The book originates from a short story I wrote in 1981. The modern book was started in July of 2012. This blog has some mature themed content. Discretion is advised. The Butterfly Dragon (through the official Tynan and Associates research team) recently received its' bronze badge from the World Community Grid for its contribution to Cancer research through distributed computing. Every day around the world many teams and individuals share their computer's processing power for the purposes of Cancer research and other important research as well. You too can take part in this and other research by donating your computer's off hours computing time to organizations like World Community Grid. Go to the World Community Grid web site and download the application for your platform. You can also contribute via Berkeley's BOINC application. 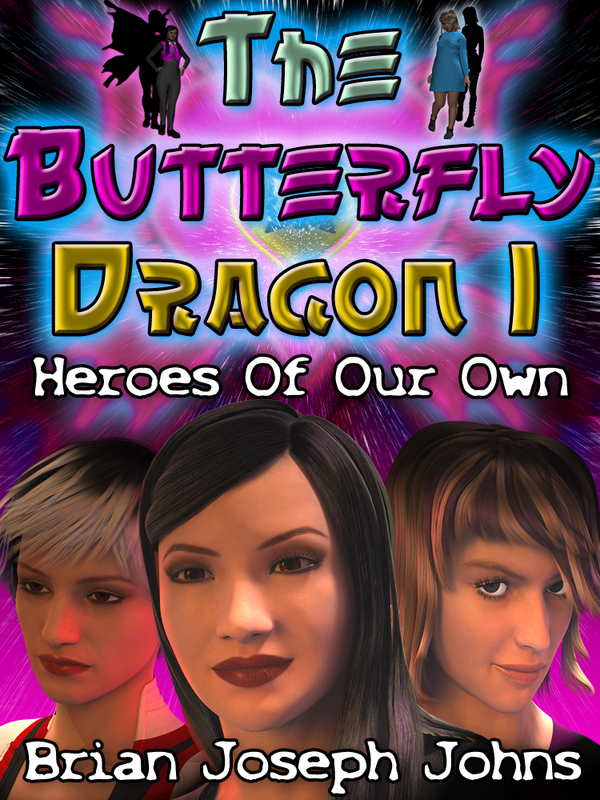 The Butterfly Dragon I: Heroes Of Our Own - The Full Edition 2 coming soon from Amazon.com. Following the same plan as all my releases 25% of the return on each unit sold will be divided up between several charities that reflect the story line of the book. That is real life cutting edge research that is saving lives and enabling those born with such diseases to cope, overcome and even cure them. The total will be divided up amongst these charities equally and donated in the nearest sum allowed for donation. Donations paid out of my own pocket (the author of The Butterfly Dragon I: Heroes Of Our Own) will also end up here. Peace is so very fragile because it is often kept by those who've been battered by war. Determination, initiative and that which binds us: in protection of innocence. Electronic Arts aka Origin has been involved in raising money for children's and community charities historically. In 2013, they raised $10.5 million dollars through their Humble Bundle for a variety of charities under that banner. The Field, The Butterflies And The Dragon - The story of the butterflies. Tales Of The Sanctum - The magic is real as is she. Stories Before The End - Engineers. A maid and a bell hop. A Doctor. A wheelchair bound boy. Can they save the world? Welcome To The Pleroma - Is the pleroma not the pleroma? Once Written, Once Read - Random mixture of my short fiction. Shhhh! Digital - Let's get down to business. The Butterfly Dragon, all of it's characters stories and plot line were developed from 1981 from a short story called The Field And The Flower. Twice between the period of 1981 and 2012 I attempted to flesh out the story coming up with the idea for a superhero based story. In early 2012 from my meager bachelor apartment in the Regent Park area of Toronto, Ontario, Canada, I sat down for a third time and began penning what would eventually become The Butterfly Dragon I: Heroes Of Our Own. There have been many inspirations for the story from family, friends and acquaintances but for the whole time I've been the only writer working on the project. If there are any similar stories, their similarity is a coincidence or they've been taken from this story throughout it's development. Be aware, that in some places even in the free world, there are gangs of plagiarists who spy illegally on the computers of others and use that ability for the purposes of theft of creative and intellectual property. It is not taken seriously by many authorities and is compromising the future of many potential artists and entrepreneurs, perhaps any country's most valuable asset for future commerce. Such gangs and groups almost destroyed this book and accompanying charity effort completely. The stories are not produced for or by Prince Hall (with all due respect to the real Prince Hall) or at Dixon Hall Heyworth House. Nor are they produced at Videolink Inc (once again with all due respect to that innovative company). I am a Buddhist and of sound mind that believes that we are all free to choose our own beliefs or not to choose to believe anything at all. To be offended that we are *not* of a particular culture or religion is just as racist and intolerant as it is to be offended that we *are* a certain culture or religion. 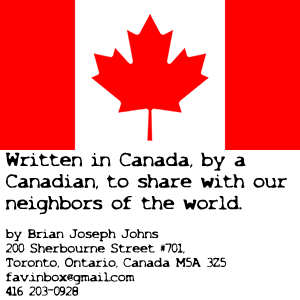 I Brian Joseph Johns, the writer am Caucasian and my love interest is Mandarin Chinese. I would never side with any ideology that would oppose such a relationship for any reason in that regard beyond the age or consent. I am 49 years of age and she is older so I believe that age is not a barrier in this instance. I would certainly never be a part of any ideology that would prove a hurdle on the basis of any cultural mix between people. Nor would I ever pay for anyone's blood whose ideals was not similar to mine. Nor would I ever be a part of any ideology who considered me and treated me as being "dead" unless I had paid for the blood of one of their members in order to be recognized as being alive or "not dead". As if what I've accomplished came from "ghosts" and was free for the taking by grave robbers and thieves alike. Until this is officially investigated by the civil authorities, entrepreneurs, artists and free thinkers are at risk everywhere. Copyright © 2012 Brian Joseph Johns. PS: Allow me to speak freelee on youtube.. Simple theme. Powered by Blogger.